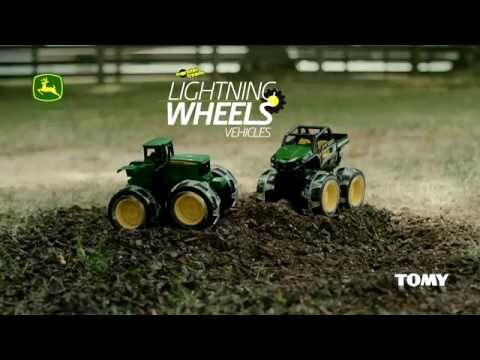 Get ready for some extreme off-road action with Monster Treads Lightning Wheels! This monster-sized John Deere Gator features oversized tires that actually light up while the vehicle is in motion! Each toy measures approximately ten inches long by eight inches tall.